The new Samsung Galaxy 5 and Galaxy S6 edge + have integrated battery capacity of 3000 mAh and many are wondering what kind of autonomy they have. There seems no reason to worry. 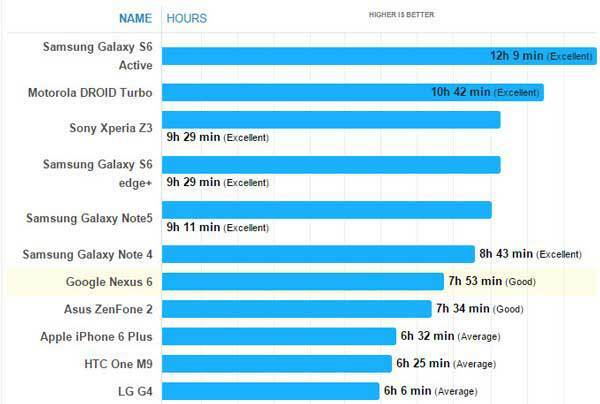 Portal PhoneArena has conducted initial testing battery Galaxy Note and Galaxy 5 S6 edge +, and the results are excellent. While Note 5 has a smaller battery compared to its predecessor, the test results showed that he has a better autonomy of Note 4 but most competing devices on the market. The best on the test proved to be a close relative of their Galaxy S6 Active. Galaxy S6 edge + has the same 3000 mAh battery, but it turned out to have a little something greater autonomy in relation to the notes fifth difference is about 20 minutes of mixed use, but still looking forward to the soul. Although the reliability of such synthetic tests, we can debate, keep in mind that PhoneArena same test applied to all of the drives and the comparison between them is indicative. 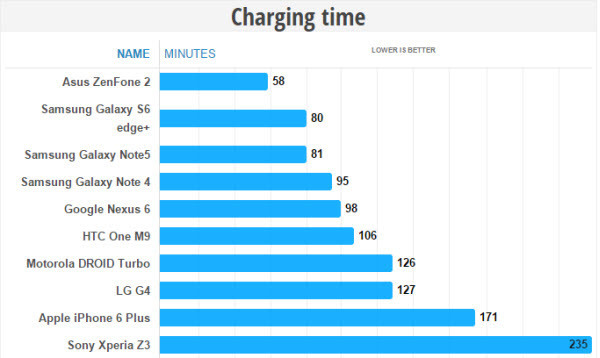 New Galaxy 5 and Galaxy S6 edge + real champions are and where the shorter the better - lasting charging. From 0 1- 100% Galaxy S6 edge + needs 80 minutes charger, and notes only 5 minutes more. And it's a great result, especially if you compare it with the Xperia Z 3, which for the same tenders, should be even 235 minutes.